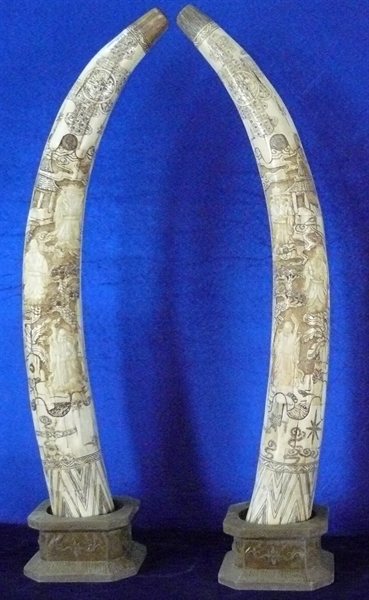 This beautiful pair of tusks is made from natural water buffalo bones. All hand carved. The traditional Three Wisemen are carved on both tusks. It sits on a beautiful base.